BirdO or Jerry Rugg is a canaidian artist. 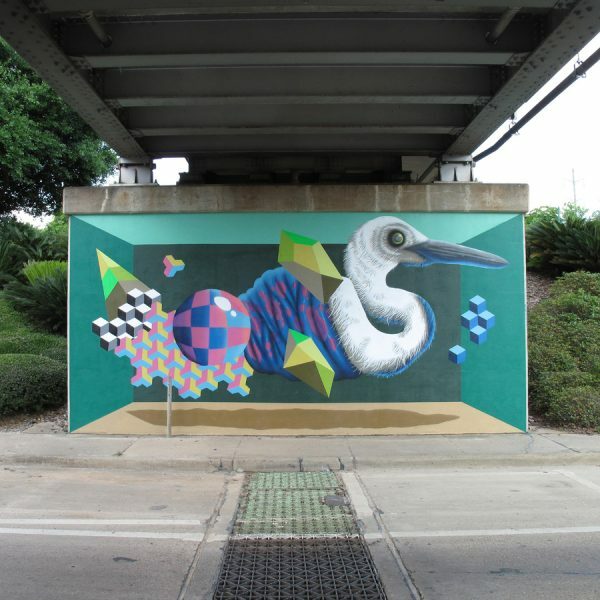 He’s painting surreal, geometric creatures. He wants to lighten the dark corners in the cities. The bridge was grey before he arrived. When he works on walls under a bridge, he wants to pull back some memories from the city. His last project was in Tallahassee, Florida. 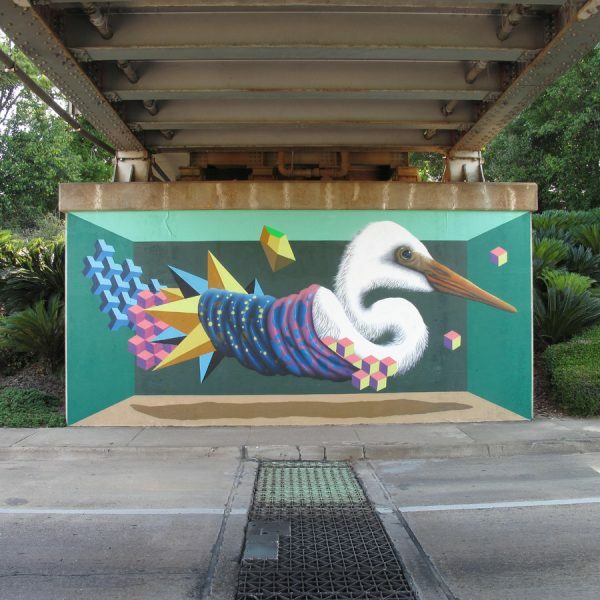 Veröffentlicht in Graffiti, Murals, Paintings, urban artGetaggt mit bird, florida, Jerry Rugg, TallahasseeBookmark the permalink.